.Welcome to NEW HEIGHTS FAMILY CHIROPRACTIC & WELLNESS CENTRE! Our New Heights Wellness team is dedicated to be beside you on your health journey. We aim to the root cause of your problem, so you can “take your health to new heights” and live your life to the fullest. You only have one spine and nerve system. We can help you take good care of them through chiropractic care. Most of our patients first come to see us when they are in pain- neck or back pain, headaches, sciatica. We also offer a range of wellness services. We provide these to help you reach your full health potential, leave your nerve system free of interference in order to allow your body to function optimally. At our state of the art centre in Brampton, we have on-site X-ray facilities and the most up to date technology and spinal traction facilities to help us give you the best care possible, not only for short term relieve but also for longer term health goals. We want to educate, empower & inspire you and your family to live a health conscious wellness lifestyle. Our aim is not just to get you to the healthiest place possible but to keep you there regardless of age or condition! Whether you are looking for treatment to help back pain and need to get your health back on track or you want to achieve new levels of health, we look forward to supporting you! Call New Heights Wellness now on 01480 457909 to book your Initial Assessment! Is it your first time considering Chiropractic Care? We do things differently at New Heights Wellness. Our team is trained by some of the most respected minds in our field and is waiting to guide you through your journey to better health. If you are not sure if chiropractic is for you, please do not hesitate to give us a call. We will be happy to answer any questions you may have. The first step on your journey is to call us and book your thorough Initial Assessment. This will be followed by your Report of Findings. Our chiropractors are registered with the General Chiropractic Council (GCC), the UK governing body for Chiropractic. 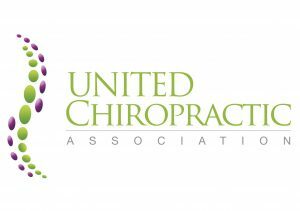 They are members of the United Chiropractic Association (UCA). They regularly attend conferences and seminars in order to continue learning and keep their specialist knowledge up to date.